The Intl. WeLoveU Foundation (hereinafter WeLoveU) held the 13th Blood Drive to deliver “mother’s endless love” to our neighbors who are struggling against diseases. 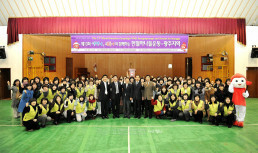 The campaign was held at the assembly hall of the Korea National Red Cross Gwangju Branch on February 10, 2011, and attended by over 600 WeLoveU members. 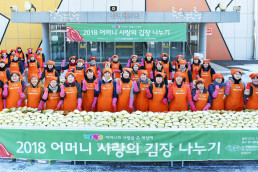 And on February 14, 250 blood donor cards were delivered to Song Eun-gyu, Head of the Jeonnam National University Hwasun Hospital, and they are to be used for patients suffering from cancer and heart disease. 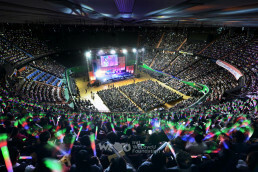 Starting with the first blood drive on November 21, 2004, at the Seoul Plaza, the WeLoveU has toured the country to hold the campaign—Incheon, Bucheon, Daejeon, Daegu, Gwanggu and Seoul. Until now, the number of donors has reached 3,377. 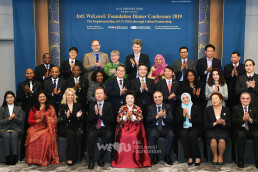 The WeLoveU members is contributing to making good society by holding the New Life Concert, the Helping Farmers Program, the Family Walkathon as well as the Blood Drive.